Gin, the drink formerly known as ‘mother’s ruin,’ has turned over a new leaf and, flavoured with botanicals, is wowing tipplers. 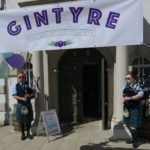 Today Kintyre’s newest festival, Gintyre, which opened last year, to rave reviews, takes over Campbeltown and Torrisdale. Tonight’s opening dinner, complete with a gin tasting menu, is a sell-out at the Ardshiel Hotel. The starter will be accommpanied by Avva Scottish Gin, the main course by Linlithgow Distillery and the desert by Nerabus Gin. The chance has gone to sample the fun at the dinner but the Ardshiel has possibly the widest drinks menu in Scotland. Colonsay is its gin of the week and, served in a wide bowled glass with fever tree tonic, is a taste to be savoured. 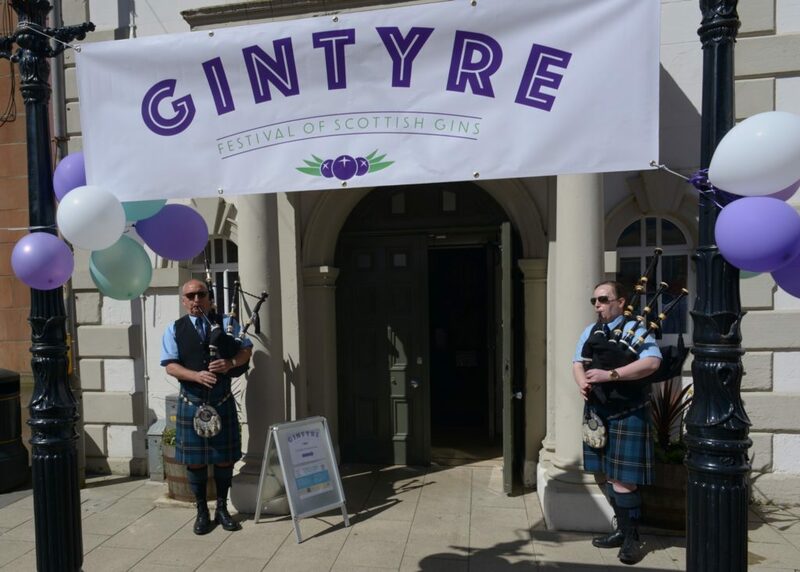 The weekend’s main event is at Campbeltown Town Hall where, from 1pm to 5pm, it is possible to taste gins from Avva Scottish Gin, Biggar Gin, Wm Cadenhead Ltd, Kintyre’s Beinn an Tuirc Distillers, Linlithgow Distillery, Lost Loch Spirits, Lussa Gin, McLean’s Gin, Nerabus Gin, Perth Gin, Pixel Spirits and Wild Island Botanic Gin. The £20 ticket admits one and includes: tastes of gin from all the producers, a complimentary gin cocktail, a complimentary perfect serve gin and tonic and a commemorative Gintyre 2019 glass plus entry to ‘meet the maker’ breakout sessions. Tours are available during the weekend at Beinn an Tuirc distillers by Torrisdale Castle. 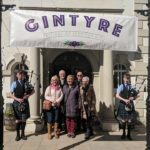 See the Gintyre website at: www.gintyre.com for full details. On Sunday, at 3pm, there is a rare outing on the big screen at Campbeltown Picture House, for a classic comedy, dripping with gin, Breakfast at Tiffany’s starring Audrey Hepburn, George Peppard and Patricia Neal. Tickets are still available for the cinema one showing.